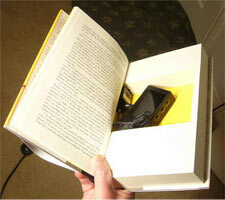 NEW TECHNOLODY RENDERS PINHOLE CAMERAS OBSOLETE! and looks like an AC Adopter but only you know what it really it. 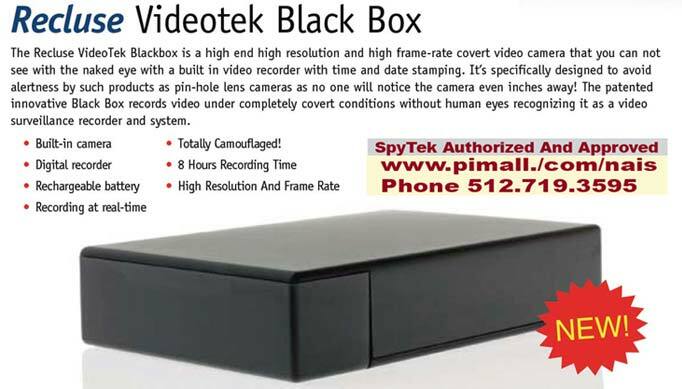 SpyTek Authorized Self Contained Stationary Covert Video Systems! SPATAN 3 WITH TWO CAMERAS! 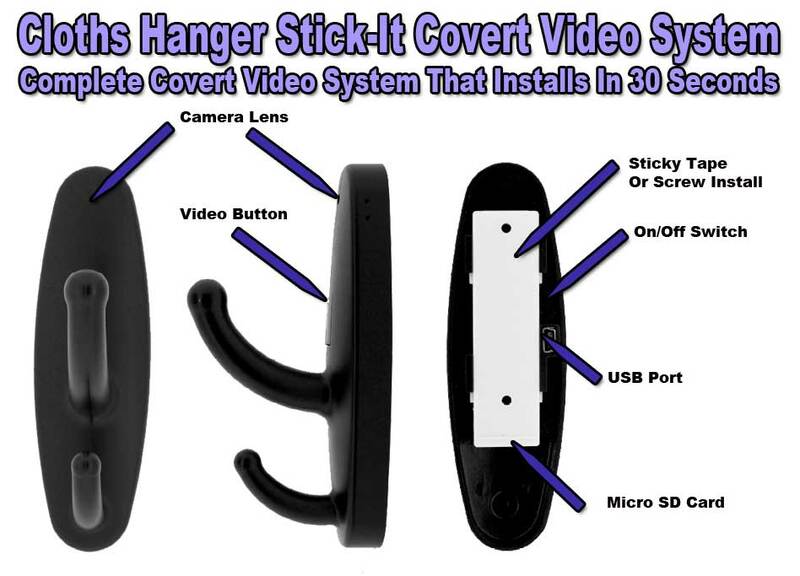 New Generation Tiny COVERTTeK Covert Video Stick-It! quick to use and set up, we simply call it the Tiny Video Stick-It because you can stick-it anywhere! 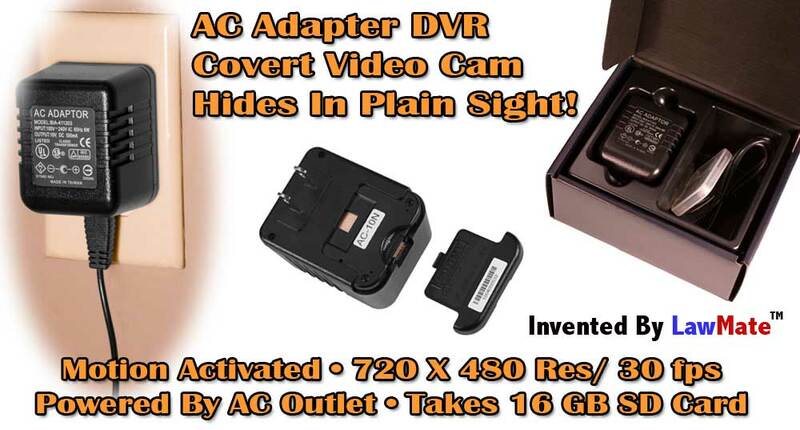 This new generation covert video system features a low Lux hidden cameras one could not see even if they are less that a foot away, high resolution and and records to a built-in tiny DVR with an SD card that supports up to an 8 GB card! 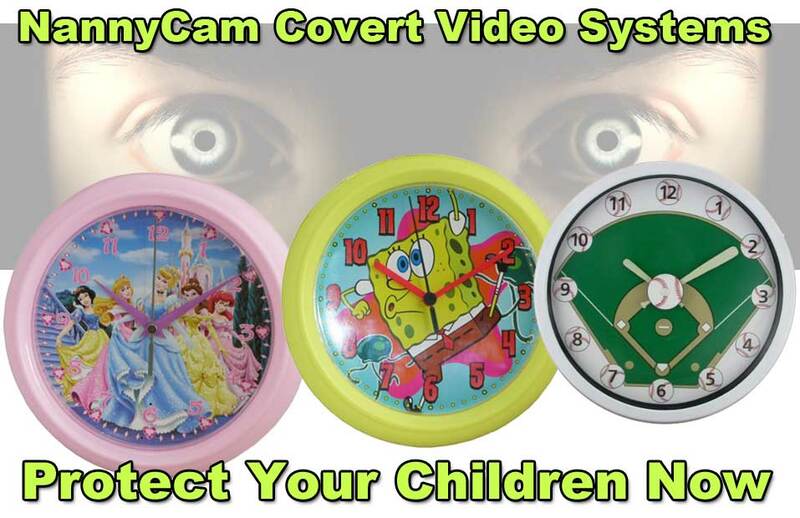 With time and date stamping and motion activation, you can now have a complete covert video recording studio built into a tiny air freshener no one knows about but you! By plugging the unit into any electrical outlet, you have electrical power that powers everything and have no need to worry about batteries or battery drain problems. New! 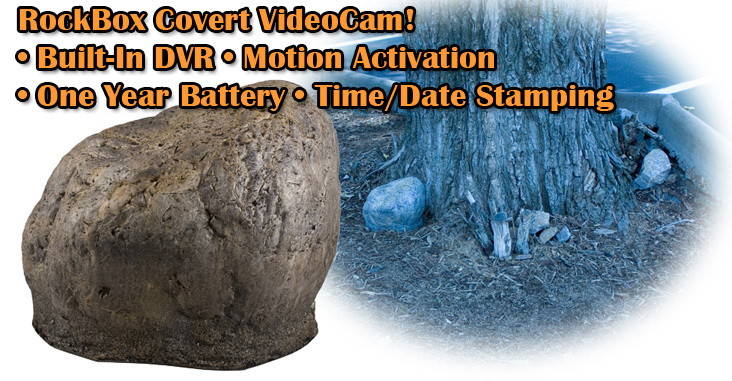 Higher Grade CovertTek Touch Lamp Covert Video Recording System! Motion Activation, Time And Date Stamping, No Visible SD Card Slot or Video Out Jack - Hidden Compartment Requires Magnetic "Key" to Open! Security recording made easy and economical with the high grade CovertTek Touch Lamp that is compeltely self-contained and totally covert digital video recorder/cameras. Motion activated real time video or high-resolution "still shots" are recorded on a tiny SD card, housed in a hidden compartment. All recording are time/date stamped for professional security applications. Every system includes (2) 1Gb SD cards. LookerCam- An affordable and easy-to-use digital video recorder with motion detector and color CMOS camera to record real time videos on a removable SD flash memory card for security purpose. Would like one simple and affordable surveillance product to monitor your place for security purpose? Looker GV6200 is for you. Looker GV6200 is an affordable and easy-to-use digital video recorder with motion detector and color CMOS camera that provides you with the ability to record real time videos on a removable SD flash memory card. No complicated assembly procedures and expensive equipments, just simply place the Looker GV6200 where you wish to capture videos and it will automatically record. You can choose continuing recording or motion-detected recording mode. 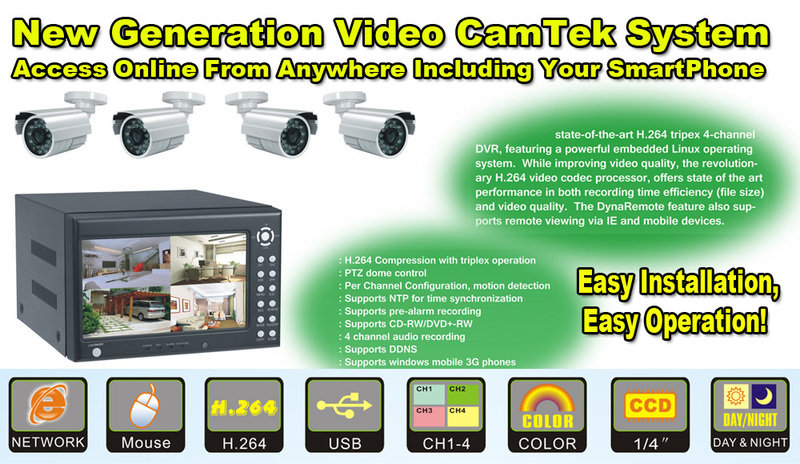 Introducing the newest high resolution outdoor/indoor IR security camera with built-in DVR. Fully motion-activated, recordings are stored on removable SD card for playback on your PC. 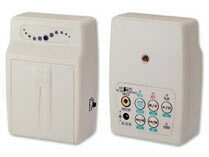 Simple plug & play installation makes security recording easier that ever, even is total darkness. 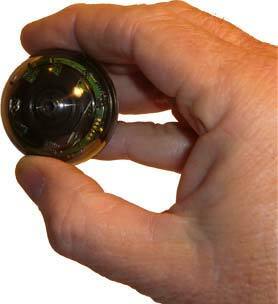 (up to 50 meters) Varifocal lens from 3.5mm to 10mm assure that you record the area you need. Motion Activation is fully programmable so false alarms are virtually eliminated. Full Function RF remote control allows for quick and easy custom programming by simply connecting camera to TV/Monitor. 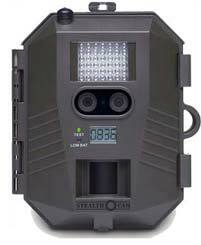 VersaCam/Super IR - 30 "Super sized" high power IR illuminators see clearly in total darkness for up to 150 feet. NOW, look in on you home, second home, lake house or office anytime, anywhere from any internet PC or internet active cell phone, including iphone. Motion activated alerts can even be sent to your email or cell phone. You can quickly view live or past recordings and motion activated "events". 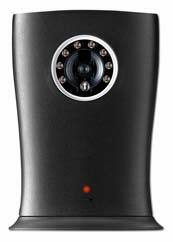 This battery operated Home Guard Personal Digital Video Capture Camera has 128 MB ram for fast action snapshots or video when motion is detected. Simply place the unit in a desired location and turn it on. It is capable of capturing more than 16000 frames. 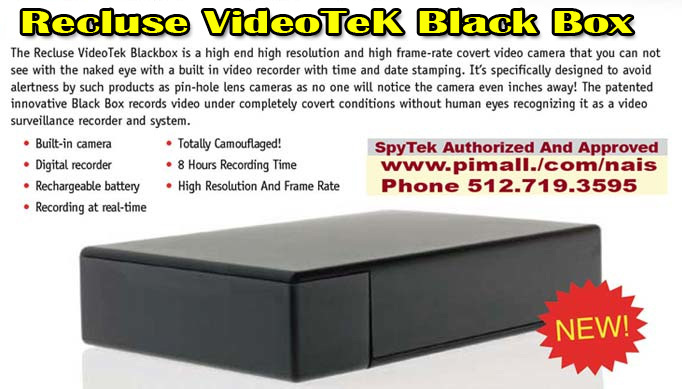 Simple and discrete to use this new item is perfect for home, office or anywhere you need quick video monitoring protection. 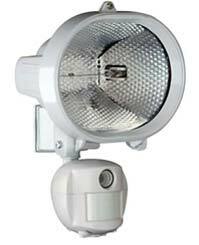 Great for use on construction sites, entrance ways, parking lots, or anywhere that power in not readily available. The new Memo-Cam Electrical box offers outstanding covert outdoor security recording in a completely self contained package. 5.8GHz transmission in an economical wireless color camera now you can get away from 2.4GHz interference. With four channels to choose from the receiver can be set to a different channel. This will allow you to avoid possible interference. 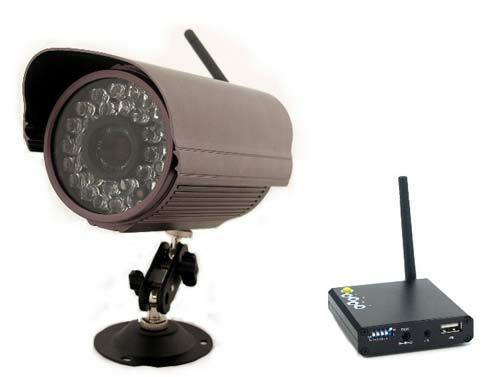 With 12 Infrared LEDS this wireless weatherproof camera is ideal for night time surveillance. 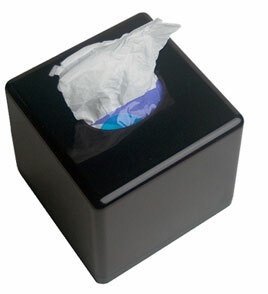 There are many wireless baby and instant office monitors in the market today. Some have small screens, some are black and white, and most are unstable. None of them have" pan and tilt" rotating capabilities from the base as the others require an extra motor and receiver unit. So let's put this one under the "must have tools" for video monitoring when you need pan and tilt ability at an affordable cost in a small compact system! Quality and economy in a 4-camera weatherproof color CCD bullet package with mini real time, zoom quad and all accessories. Package also includes (4) 65ft. plug and play cables and AC adaptors to power all cameras and quad. Additional cable length can be added using standard plug and play cables. 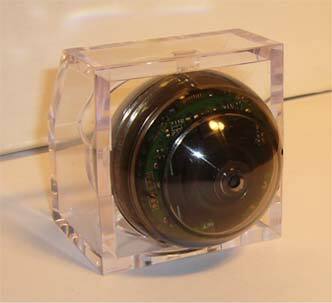 Color 400 LOR CCD cameras include swivel mount and hardware. 4 IR CAMERA PACKAGE-UNBELIEVABLE QUALITY AND PRICE! Quality and economy in a 4-camera weatherproof color Day/Night IR CCD bullet package. Super Night Eye high resolution cameras capture video at over 400 lines of resolution in full sun light or in total darkness at 25 feet! Real time, full function high-resolution (720x480) quad features zoom, time/date stamp, remote control, PIP, freeze frame, motion alarm and multiple dis play modes. Ideal for either home surveillance or the baby nursery, the video monitor will insure parents that the baby is okay. 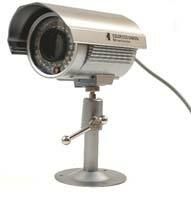 In total darkness this camera still works and any activity can be seen or recorded by turning on the INFRA RED feature of this camera . . . just like night vision. 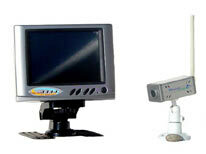 The Digital Night Vision Viewer/Camera is a state-of-the-art digital night vision viewing system. 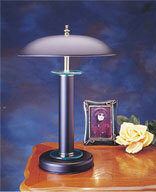 Advanced solid state circuitry provides 24 hour operation in any lighting condition. Using its "fast" f1.2 lens and the latest in high resolution image processing, NiteMax™ produces a bright and clear picture in the darkest environment and displays it on its built-in 2.5? LCD screen. The RCA video output jack allows easy connection to a VCR or Camcorder for image recording. Very nice high end pan and tilt dome camera with remote control you can use any time. 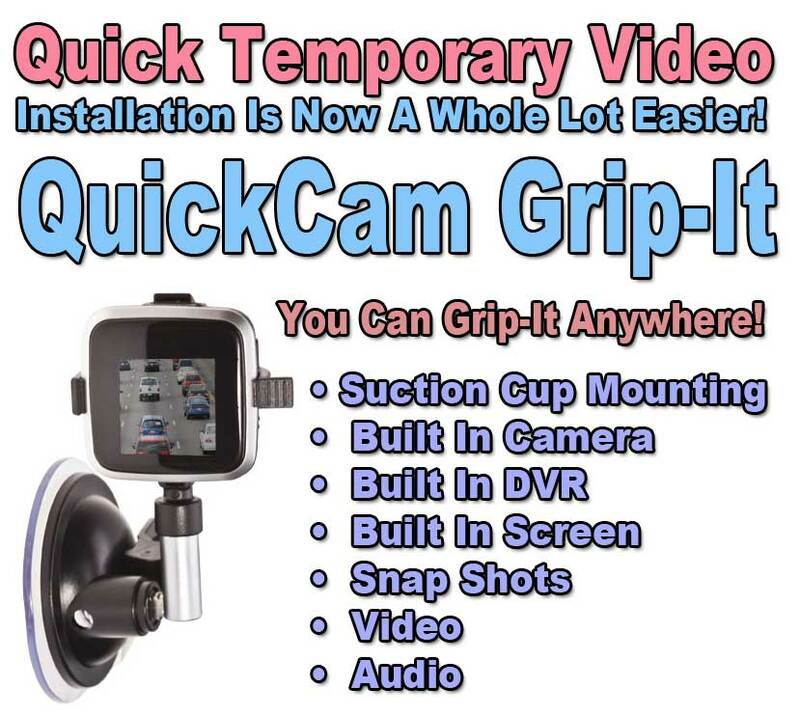 No you can have a high quality pan/tilt weather proof and vandal proof video camera that will scan by panning and tilting with a remote control at a great price! This wireless color observation system utilizes the latest technology and features a 5" TFT LCD color display with built in 2.4 GHz receiver. The wireless color camera is easy to set up and plugs into any standard AC outlet. 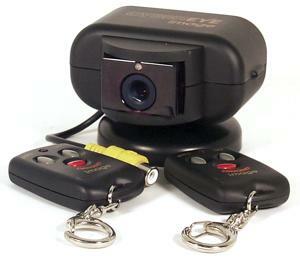 Up to 4 cameras can be added to this system. The GigaXtreme 4010 comes with a B/W wireless outdoor camera and a 5.5” monitor, it can help you to build-up a portable, easy-to-install, cost-efficient personal security system. Using the latest wireless technology, signals from the camera travel through walls and floors to the monitor wirelessly. The monitor can be battery operable for portability giving you the flexibility to change location from room to room. 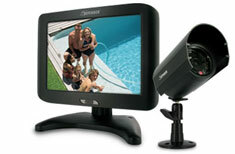 5.5" B/W Monitor with Audio Video TV Output, CMOS Camera & 60 foot cable. The ClearVu 600 is one of the smallest and most efficient security systems out there. The system includes a 5.5" B/W monitor, a camera equipped with night vision capabilities which can be mounted virtually anywhere (monitor supports up to 2 cameras), 60 feet of wire which sends video, audio and power between the camera and monitor, as well as all the necessary mounting hardware and power adapters. 12" B/W Monitor with Audio Video TV Output, 2 CCD Cameras with 60 feet cables.The Clearvu1202 is a step above your ordinary monitor and camera system. It is great for small businesses and residences that require more high tech monitoring solutions. Your system comes with a 12" monitor, two high resolution cameras as well as two 60 feet cables, and even a remote control that will let you control your system at a distance. 14" B/W Quad Monitor with Audio Video TV Output, 4 CCD Cameras with 60 feet cables. The ClearVuQ1404 system come with a 14" B/W high resolution Quad monitor and 4 B/W steel cameras each equipped with a 60 foot wiring cable. The monitor screen is split into 4 viewing windows (QUAD feature) which allow you to view all cameras simultaneously, with its included remote control or using the keys found on the monitor you can zoom in, zoom out, view desired camera full screen and have them automatically switch between cameras while in FULL Screen mode. 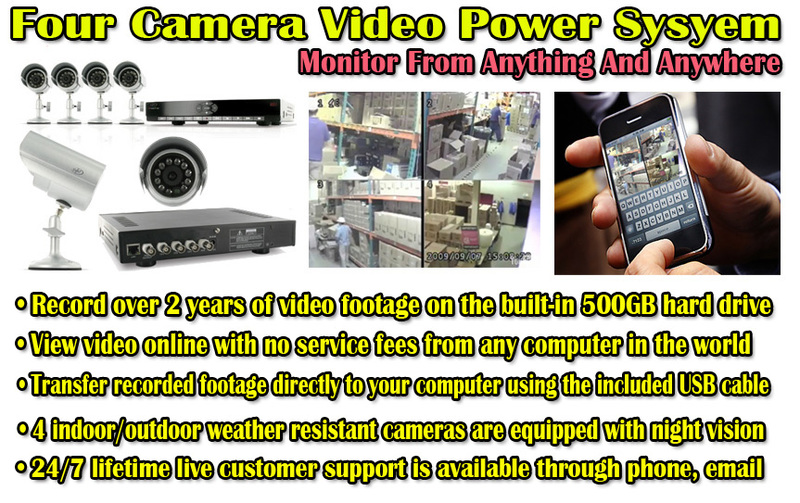 Clearvu Quad systems are our professional surveillance systems. 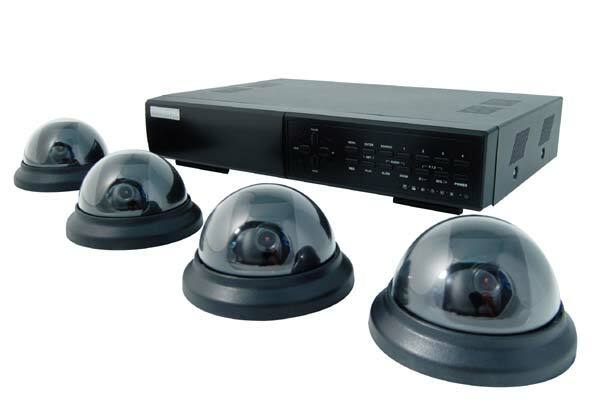 The CV Q1304DVR is a 13” color quad station with a DVR Ethernet connection and all the necessary wiring. The DVR Quad system allows users to record and view 4 cameras at the same time whether they are in front of their monitor or viewing over the internet. You’ll be able to see what is happening everywhere all of the time.